You are here: Home / Goals / Rainmaking Recommendation # 83: Halfway There or Halfway Over? We’ve reached the halfway point of the year. If you are like most, you have probably had plans and goals that you wanted to achieve this year. Maybe you even called them New Year’s Resolutions. So, have you achieved those goals? 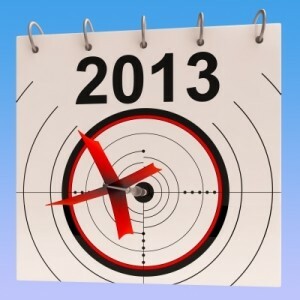 Did you abandon your plans for achievement a few days into the year or have you continued to pursue your goals? The thing about Rainmaking is that it is not a “one and done” effort. It is continuous activities that allow your name, your personality and what you know to become familiar to others so that you people can feel comfortable creating relationships with you. Whether it’s networking or using social media, writing blog posts or presenting seminars, Rainmaking must be a constant effort on your part. I’m going to tell you a little secret: Rainmaking is simple. But it’s not easy. Rainmaking requires constant effort on your part and the only person who can make you the Rainmaker you want to be is you. PS: If you have already achieved your goals that’s wonderful! Now, set more goals and go after those!